Posted February 8, 2019 by Ellen & filed under Community. 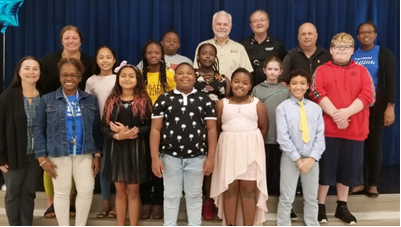 Mike Lewis of Foliage Design participated with other members of the ARC Board in judging a speech contest at Lockhart Elementary School. The theme of the speeches was “Challenges Youth Face”. This is a fine looking group of young people!